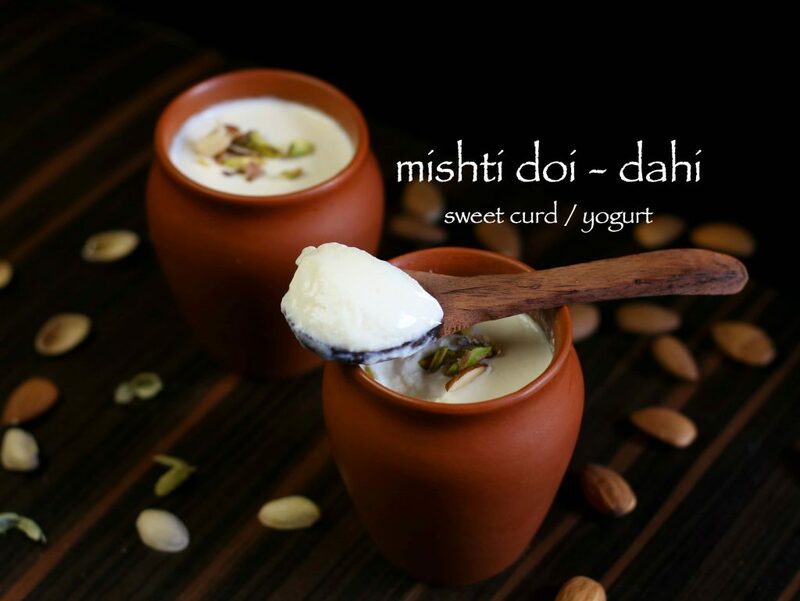 mishti doi recipe | bengali sweet yoghurt or curd recipe | mitha dahi recipe with detailed photo and video recipe. a traditional bengali sweet recipe prepared from thick milk which later converted to thick sweet yogurt. a popular bengali cuisine fermented dessert recipe is mainly prepared from full cream milk, sugar / jaggery with some yogurt for starter. 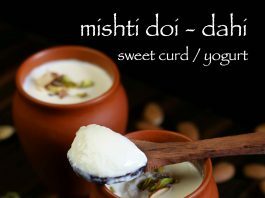 mishti doi recipe | bengali sweet yoghurt or curd recipe | mitha dahi with step by step photo and video recipe. 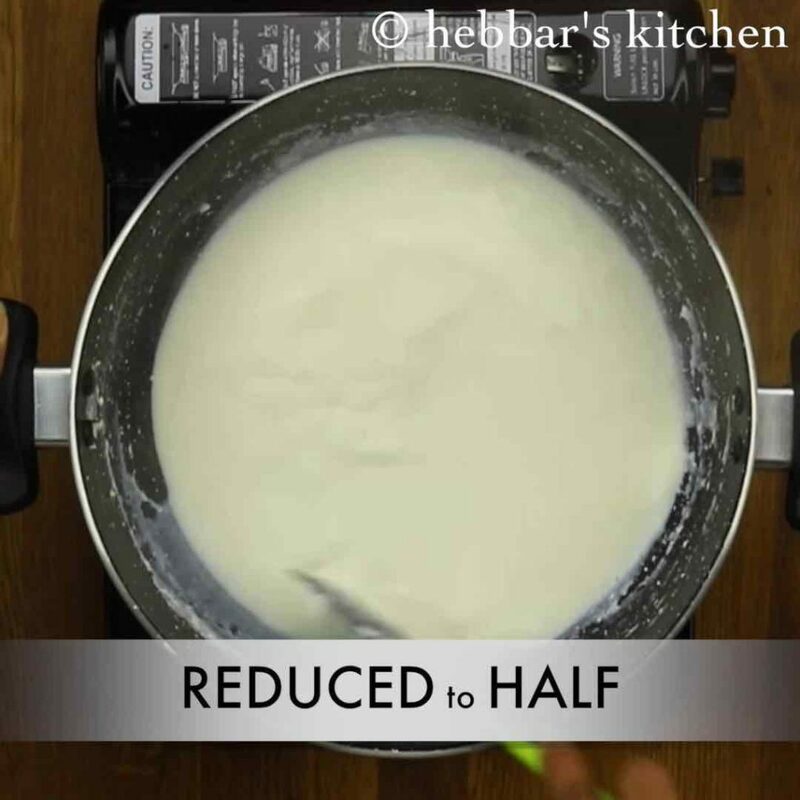 basically mishti doi is prepared from boiling the milk till it is reduced to half and is thickened. 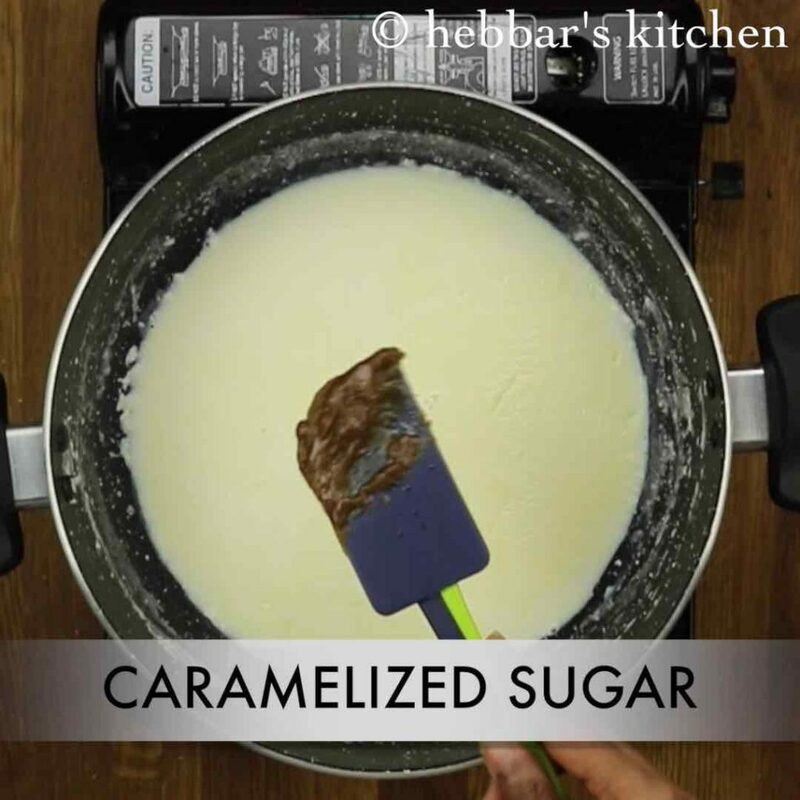 later caramelised sugar or jaggery is added to evaporated milk to which curd or yogurt is added as starter. after adding the starter, it left for fermentation in dry warm place which yields thick sweet yogurt or mitha dahi. being a south indian, curd or dahi is a must milk product in my day to day diet. typically our meal end with curd rice or just by consuming plain thick yogurt. according to my husband his meal is incomplete without the curd or dahi rice. basically it helps to lower the temperature of our body after consuming heavy spicy food. 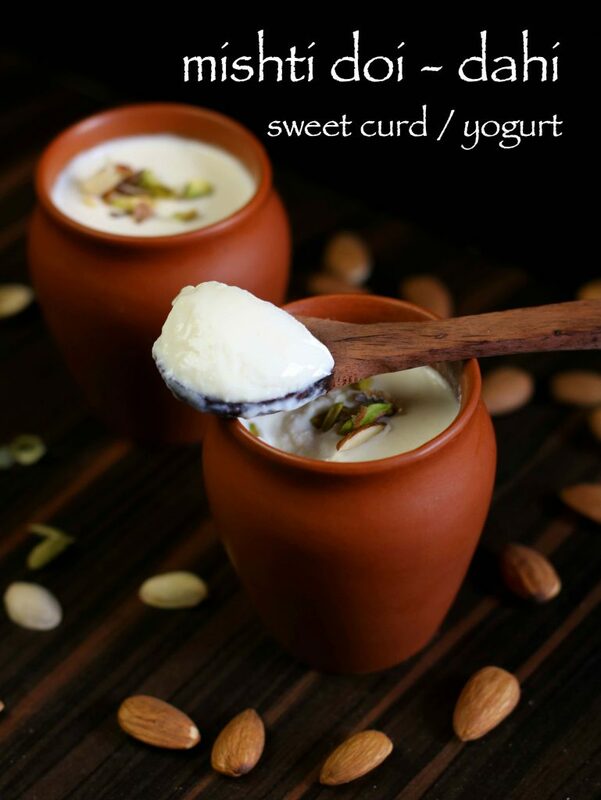 once in a while i try to make this sweet dahi or mishti doi recipe and serve ourselves as dessert. it is so addictive and trust me you would love to have it daily. but i avoid and prepare it once in week due to sweetness or sugar content. 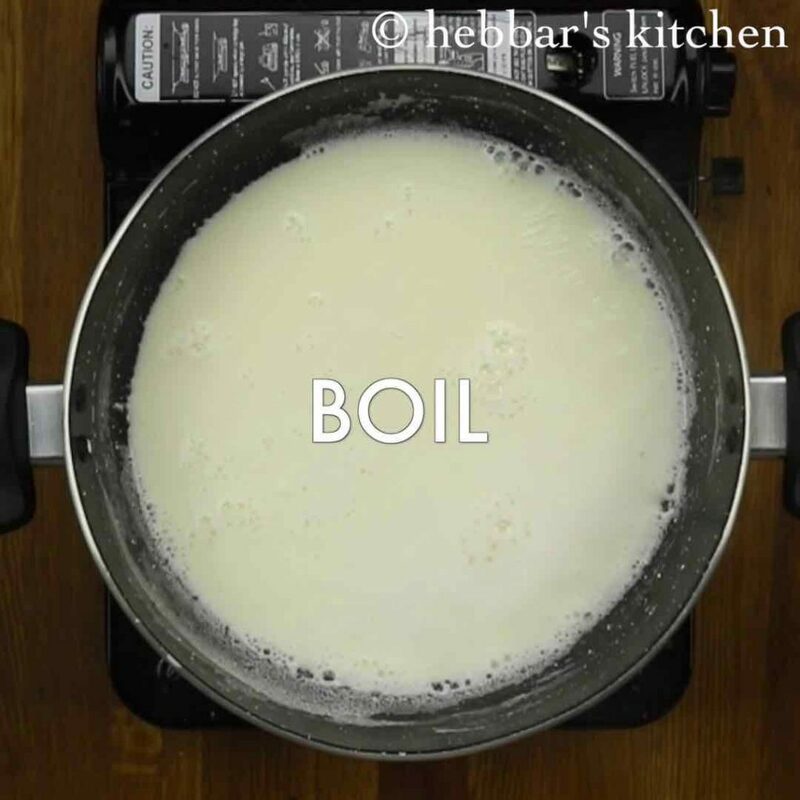 while the bengali mishti doi recipe is extremely simple, yet i would like to mention some tips and recommendations. 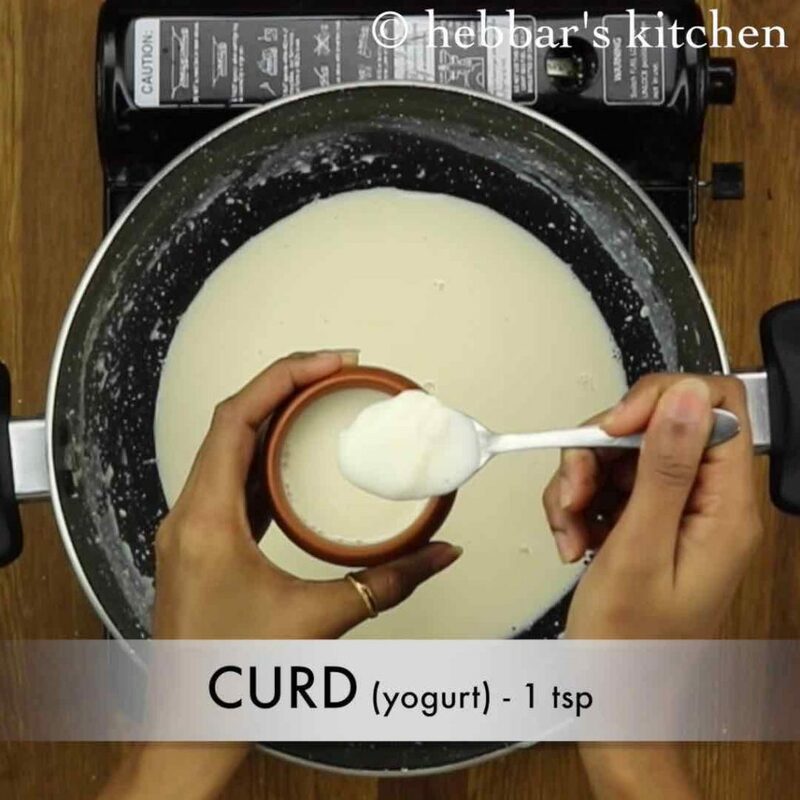 firstly, always use thick full cream milk for this recipe otherwise the curd or yogurt would not be thick. secondly, i have added brown sugar in this recipe, alternatively you can use white sugar or jaggery. finally, fermentation should be done in a warm dry place and do not disturb it by mixing. alternatively you can also keep it in a per-heated (just preheat and turn off) oven to hasten the process. 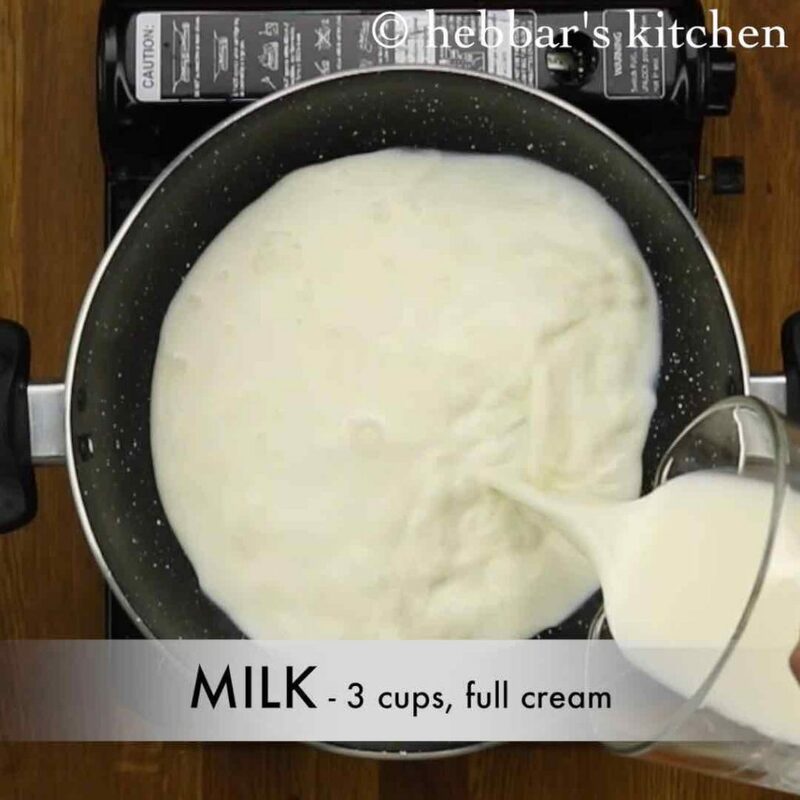 firstly, in a thick bottomed nonstick pan heat 3 cups of milk. stir occasionally, and get milk to boil. further add 2 tbsp of sugar and stir well. 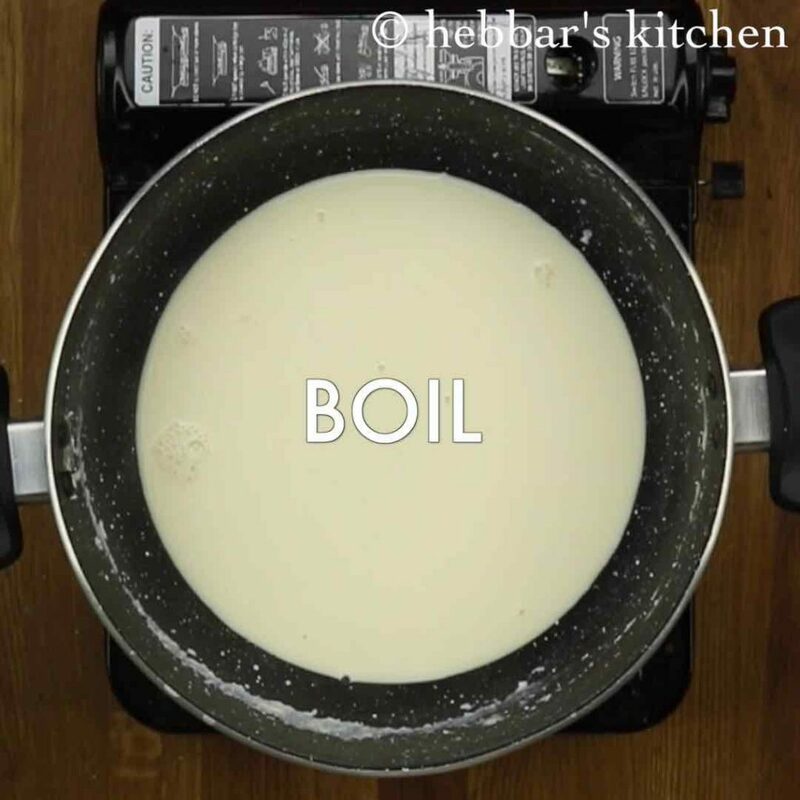 boil the milk on medium flame till it thickens. stir occasionally, till the milk reduces to half. meanwhile, in a thick bottomed pan take 2 tbsp brown sugar. 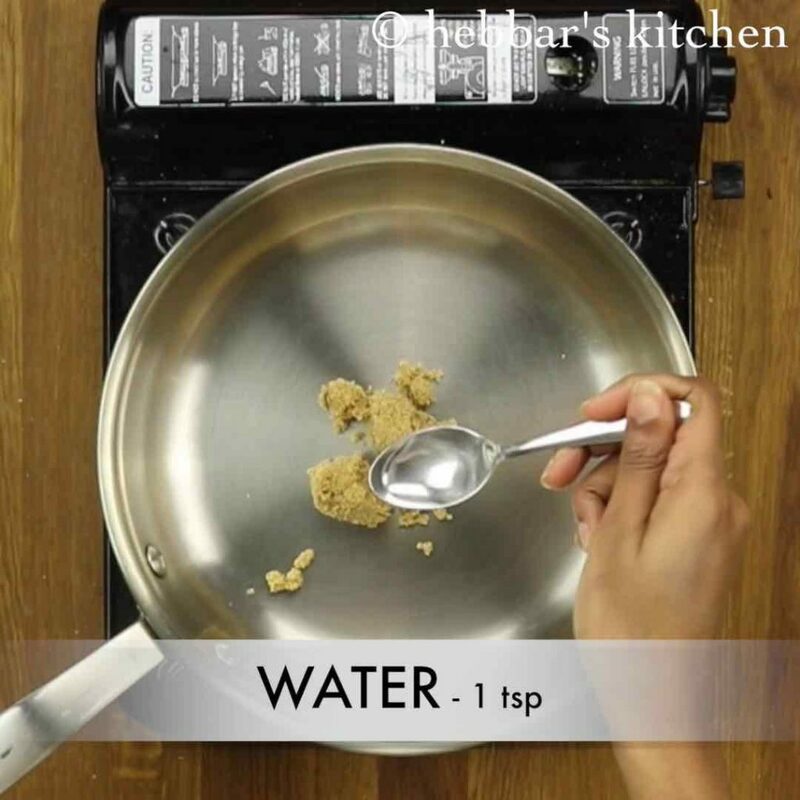 add in a tsp of water and mix well. 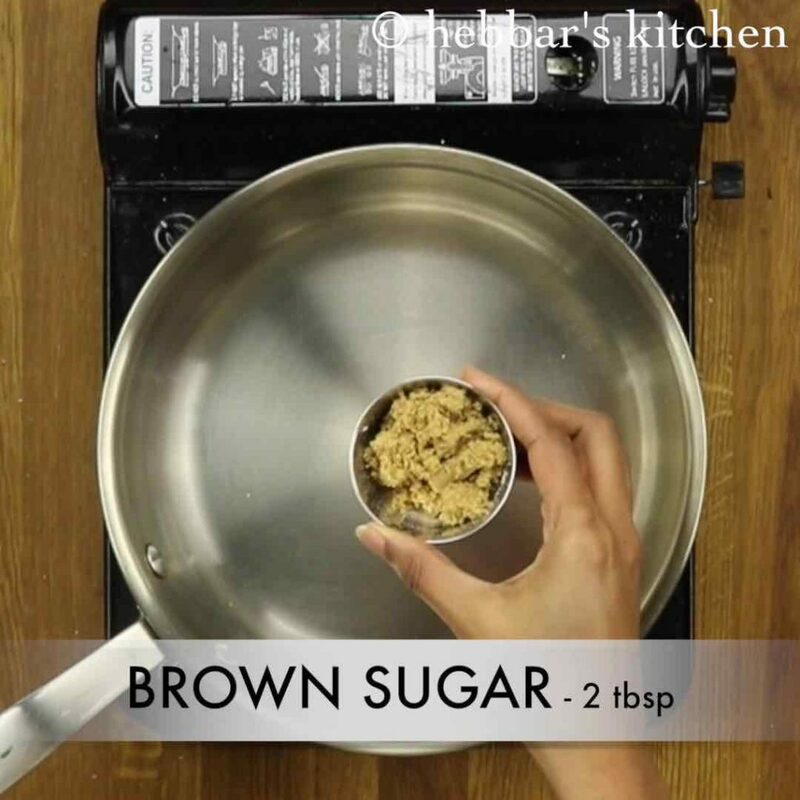 keeping the flame on medium, stir till the sugar caramelises. 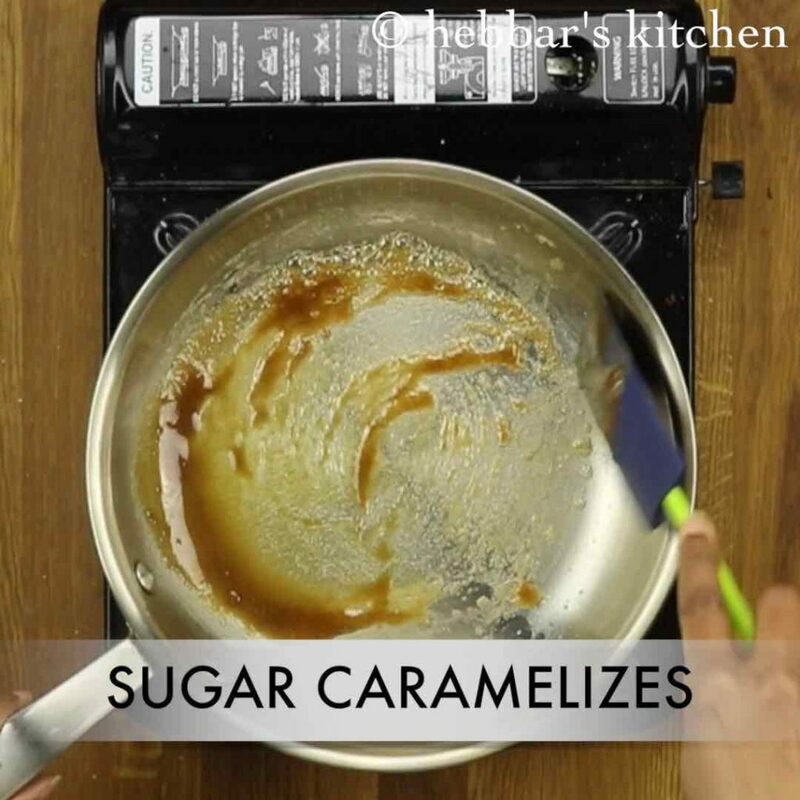 transfer the caramelised sugar into boiled milk. stir well and get the milk to another boil. now allow it to cool completely. 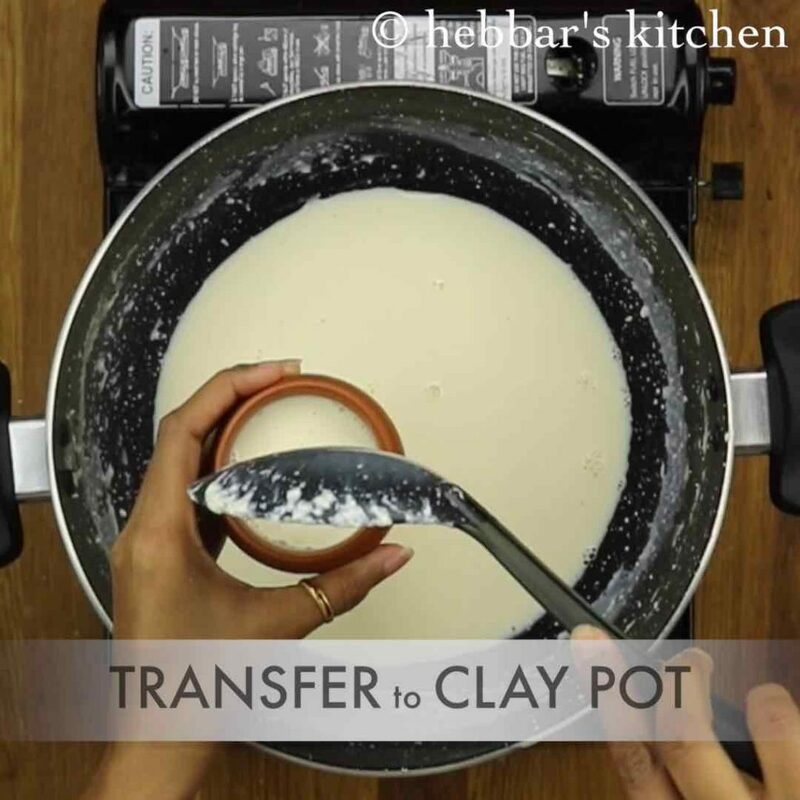 once the milk is cooled and yet slightly warm, transfer into a clay pot or any container. 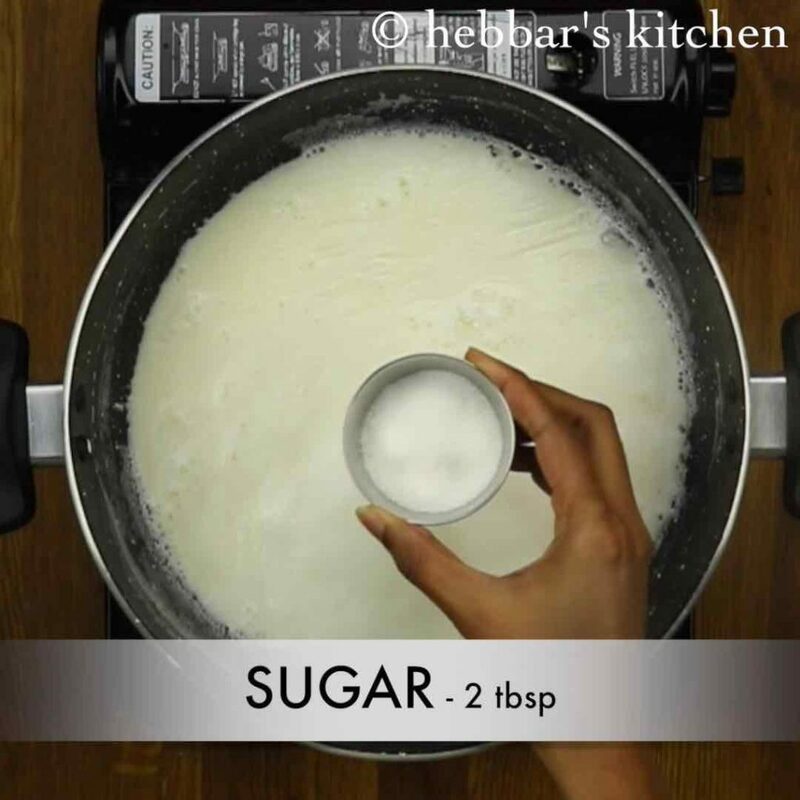 add in a tsp of curd and stir well. 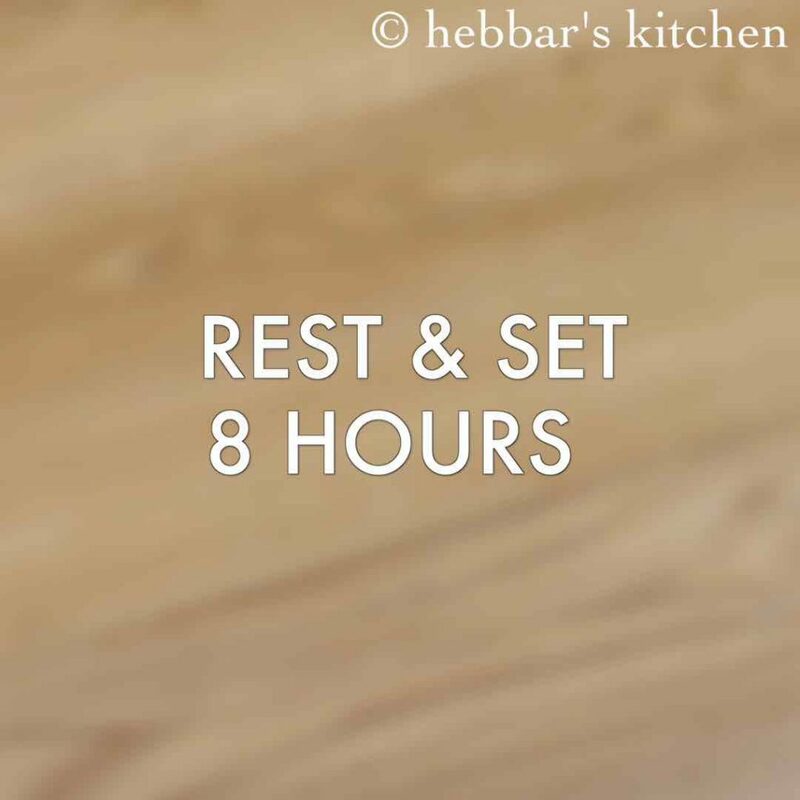 cover and allow it to set in warm place for 8 hours or till it sets completely. then refrigerate for 2 hours to get nice creamy texture. also garnish with chopped nuts. 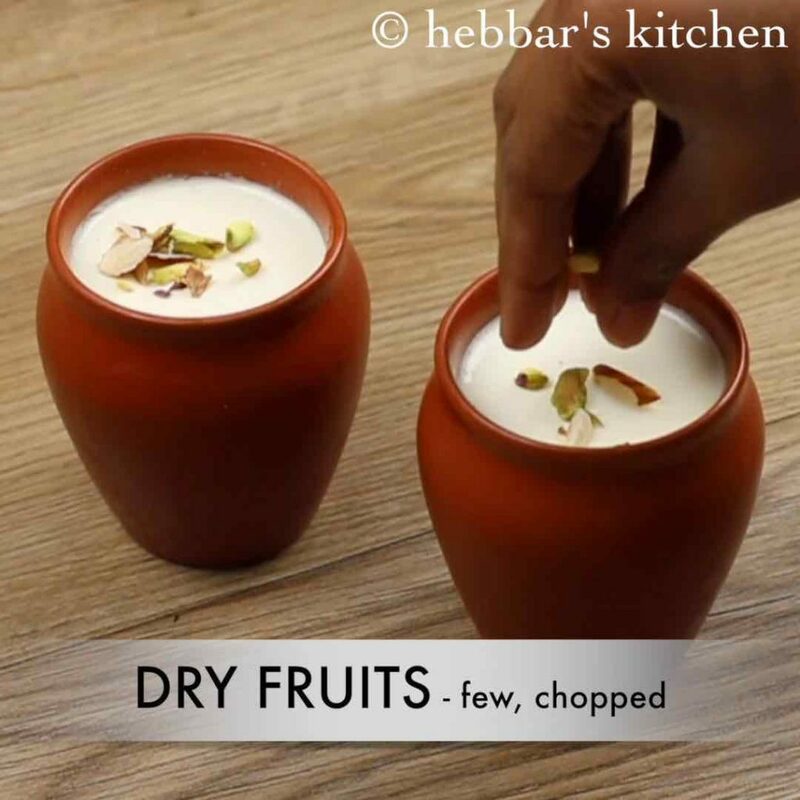 finally, serve mishti doi chilled garnished with few chopped dry fruits. 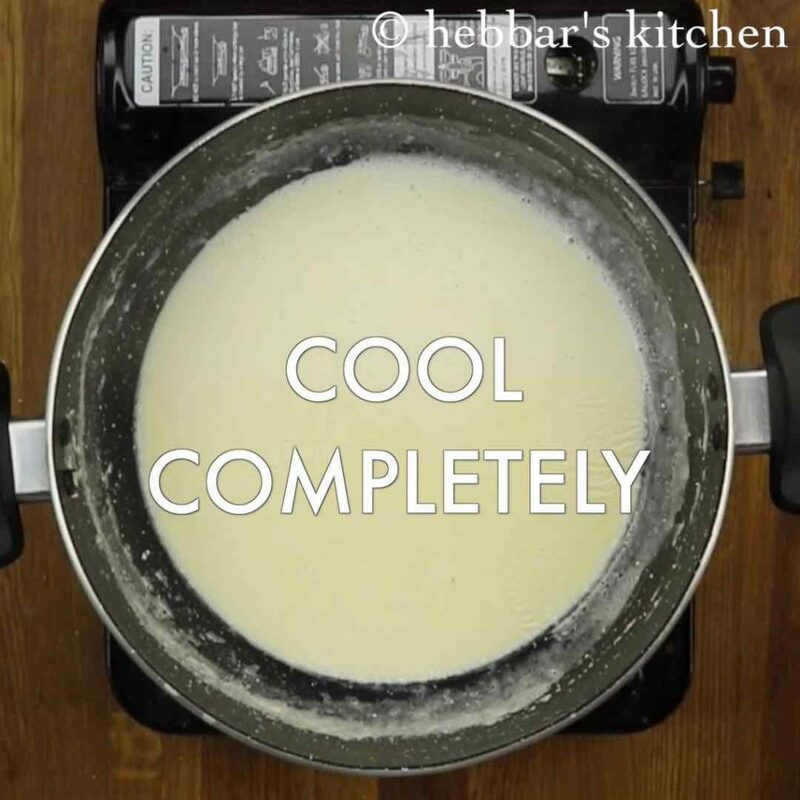 firstly, use full cream milk to get nice creamy mishti doi. also boil the milk on medium flame, else the milk might burn at the bottom. additionally, instead of using sugar, replace with jaggery for more healthier option. finally, mishti doi can be stored for a week and enjoyed chilled. Amazing and exclusive veg dishes taught in simple steps with Ingridients available in the kitchen.Thabkyou archana it’s of great use to my children who are abroad.God bless you and sudarshan with all happiness and may u reach greater heights in the culinary field. Hi i am following u r blog from 1st recpie onwards very simple and catchy recipies, i have prepared all chat items from u r recpie blog , sweet chutney , pani puri , thanq for different variety and tasty recpies. HIIIII… I really appreciate your efforts… yr recipes are very simple and practical……thank you so much…. you are welcome Subhangi. Thanks a lot for such positive words.